Kevin Stevens is the Director of the Center for Clinical Performance and Simulation at the Washington State University College of Nursing, assisting faculty and instructors to incorporate Human Patient Simulation into their curriculum. As a retired Air Force Nurse Corp officer of 23 and a half years, Kevin served in various positions to include Chief Nurse, Squadron Commander, Health Promotions Director, and Health Care Integrator. Her clinical practice included in-patient and out-patient Pediatrics, Maternal-Newborn care and Labor and Delivery while stationed at various Air Force bases throughout the United States. 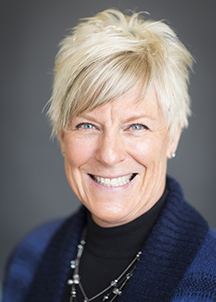 She has been certified in Community Health nursing, Maternal-Newborn nursing, Health Promotions, Nutrition, and as an International Board Certified Lactation Consultant. While serving on active duty, she gained many years of experience in various positions instructing a variety of courses to Active Duty and civilian personnel to include Pediatric Advanced Life Support, Neonatal Resuscitation, Breast Feeding, tobacco cessation, pre-natal and various health and wellness education classes. Kevin is a Certified Healthcare Simulation Educator and a member of the International Nursing Association for Clinical Simulation and Learning, the Society for Simulation in Healthcare, and advisor to the WSU Health Sciences Simulation Club. 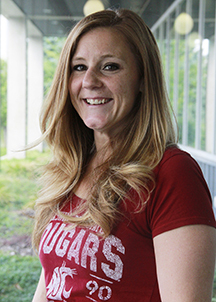 She was also the WSU CON Project Coordinator for the NCSBN National Simulation Study. She recently earned her second master’s degree in Nutrition and Exercise Physiology and is also a board certified Registered Dietitian. Shishani K., Stevens, J. Dotson, C. Riebe (2015). Improving nursing students’ knowledge using online education and simulation to help smokers quit. Nurse Education Today. 33(3):210-213. Keegan, R, Oliver, C., Stanfill, T., Stevens, K., Brown, G., Ebinger, M. & Gay, J. (2015). Use of a mobile device simulation as a preclass active learning exercise. Journal of Nursing Education. Doi.10.3928/01484834-20151214-14. Corbett, C.L., Gibson, J.E. & Stevens, K.V. (2010). Curricular Innovations for Teaching Facilitated Family Presence to Students and Clinicians. Video- Western Institute of Nursing, Las Vegas Nevada.